16th October marks the world food day, a festival celebrated globally. This years theme was “FOOD PRICES: From Crisis to Stability”. The theme was chosen to shed light on a trend that is hurting the poor consumer, the small scale producer and agriculture in general. Food prices, which were stable for decades, have become increasingly volatile. If we are to seriously address the issue of world hunger, more effort has to be made to address the problem of food price fluctuations particularly for those who spend most of their incomes on food, to ensure that they can return from the market with enough for their families to eat nutritiously. The causes of food price instability are well known, but what can be done about it requires political will. This year’s world food day in Kenya was held in Njoro district where all the stakeholders who included Ministry of agriculture, Kenya bureau of standards, Ministry of livestock and fisheries development, Baraka agricultural college, and local NGO’s had a chance to show case some of their activities to local farmers and food consumers. 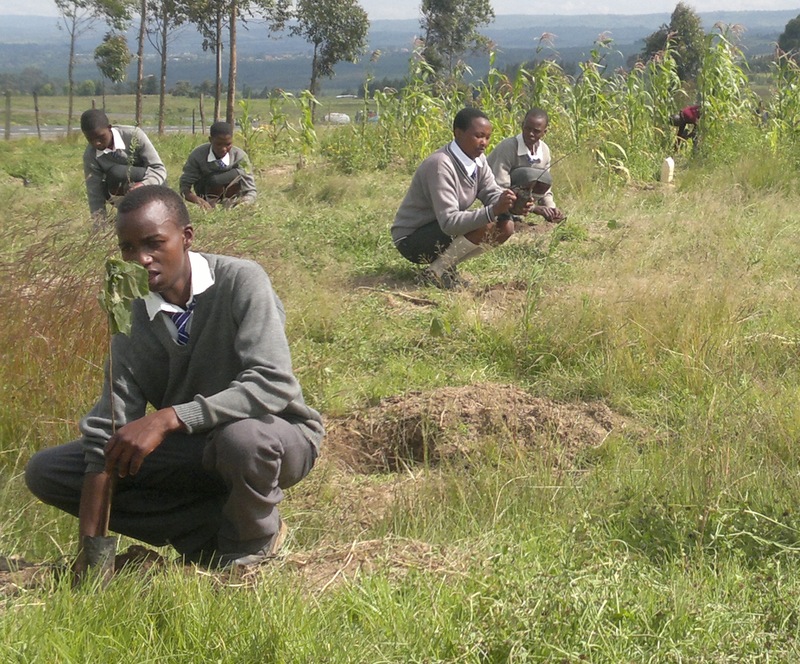 The event commenced with a tree planting session where the guest of honor and other distinguished guest planted trees at identified sites in Njoro to reinforce the reforestation of Mau forest. Lare pumpkin producers which is a presidia project supported by Slow Food Foundation for Biodiversity in collaboration with Necofa, showcased some special products made from the pumpkin. The local producers aim at conserving the already threatened indigenous pumpkin species. This pumpkin is special due to its flavor and the modes of uses among the farmers in lare. Farmers grow the pumpkins, practice saving of its seeds, and add value to the pumpkins by making pumpkin flour, pumpkin seed flour, and juice from the pumpkin flesh. This project helps the local farmers in conserving the plants species, marketing of their produce and multiplication of seed as a method of conservation of biodiversity. 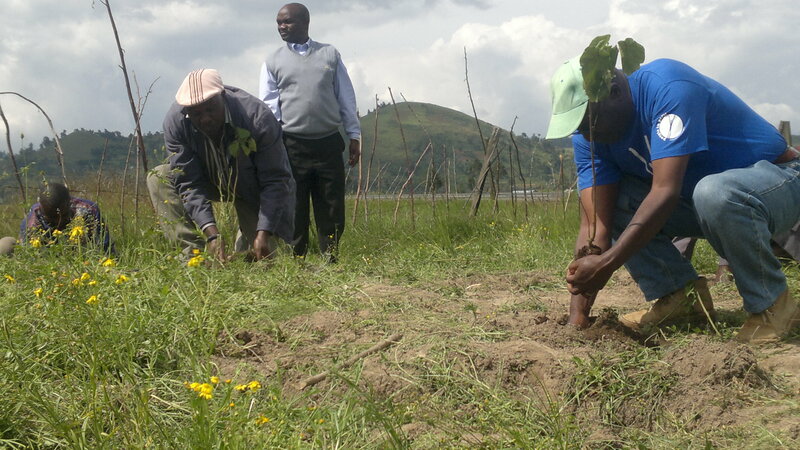 The farmers are also involved in environmental conservation as they also practice farm forestry. Their display attracted attention to the curious onlookers who were surprised by all the products you could derive from this plant as opposed to the simple and most common method of consumption which is boiled pumpkin. This also gave the farmers an opportunity to market their products by interacting directly with other farmers and also potential consumers. “It is the little things that citizens do that will make the difference. 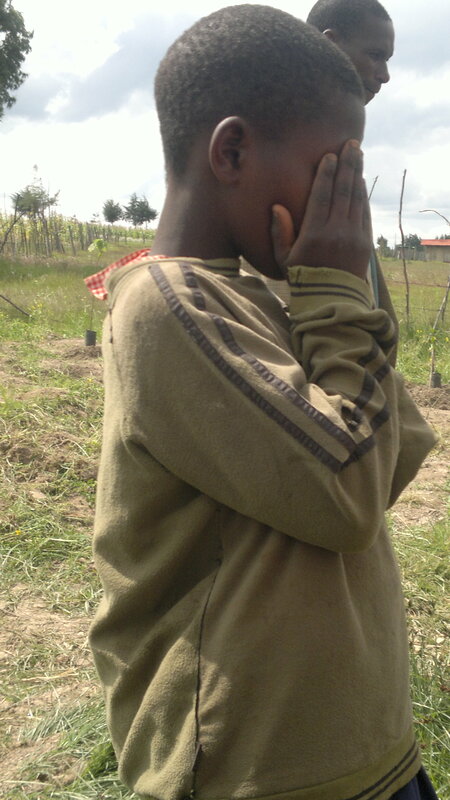 My little thing is planting trees” By Prof. Wangari Maathai. 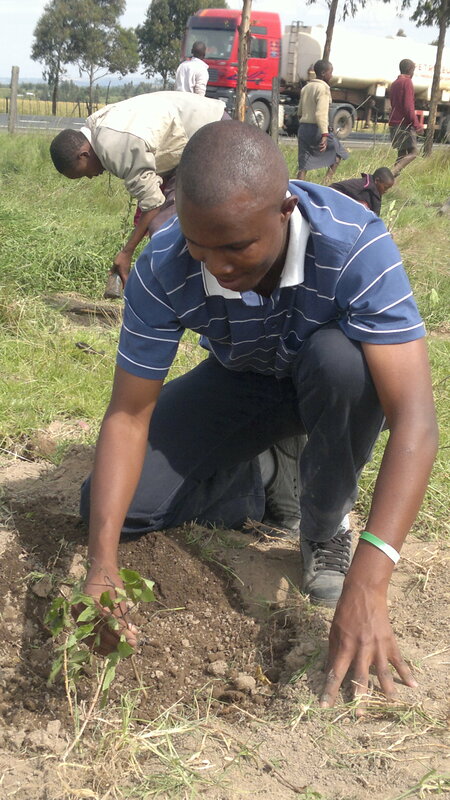 Necofa Kenya in conjunction with People in Peril Association, Slow food central rift convivium, Slow food International, WRUA, MEAP and YGEP organized a tree planting day/ceremony in honor of the late Professor Wangari Maathai at Tabaini primary school. The participants included the members of staff and students from two primary schools and one secondary school from Kamara location in Molo district. This event was graced by Necofa Kenya country coordinator Mr. Samuel Muhunyu and Slow Food International vice president John Kariuki. Mr. Samuel Muhunyu emphasized on the importance of environmental conservation as way of mitigating the effects of climate change in Kenya and globally. He recognized the role of the Professor Maathai in environmental conservation and her desire to collaborate with the rural folks in uplifting their livelihoods,let us all reflect on her work and the best gift we can give our departed heroine is to emulate her and carry on the torch of hope and to continue to protect biodiversity with more vigour, zeal and determination. Yes, her successes should inspire all of us to carry on her dreams for the earth. Long live the dream she put in all of us. He also emphasized to the school going youths on the importance of hard work and discipline since investing in the youths is investing in sustainability and posterity. A total of 1000 trees were planted during this occasion. John Kariuki,Slow Food International Vice President. Mr. Muhunyu and Mr. Chege from Necofa.